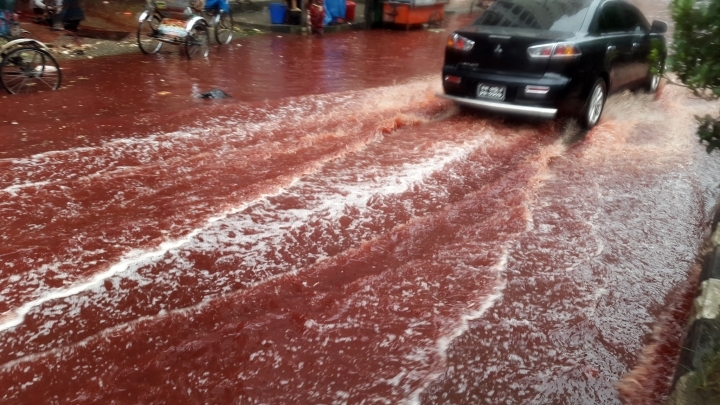 DHAKA, Bangladesh — Large-scale animal sacrifices marking the Islamic festival of Eid al-Adha combined with heavy rains have turned the streets of Bangladesh's capital into rivers of blood. Authorities in Dhaka designated several places in the city where residents could slaughter animals, but heavy downpours Tuesday meant few people could use those areas. Muslims traditionally mark Eid al-Adha, or the Feast of Sacrifice, by slaughtering livestock. Usually a goat, sheep or a cow is killed to commemorate Prophet Ibrahim's test of faith. 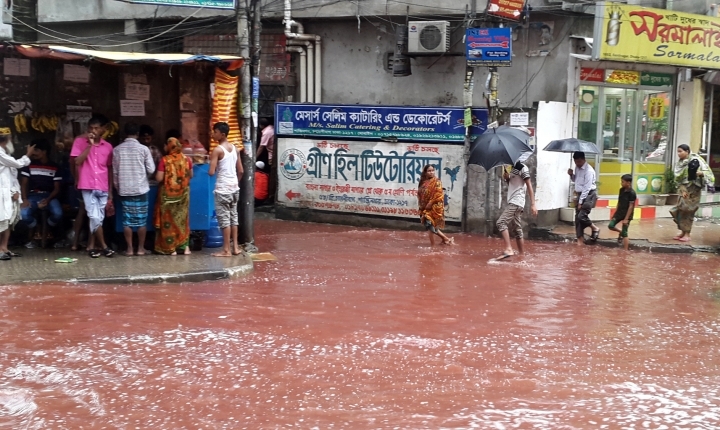 Dhaka residents used parking lots, garages and alleys to kill the animals and the blood flowed into the flooded streets, turning them into rivers of blood.